It was a sunny Sunday morning here in Yorkshire which meant only one thing for me: Car Booting! It's been a few weeks since I was last able to go because of the wet weather so today was a real treat. Although I only picked up two beauty items today, I'm super stoked with my little purchases! The first thing I picked up was this Nails inc, London Nail Polish in the shade Travistock Street. This is a lovely medium grey shade and I don't have anything else like it so I'm glad to have this to play with now. Nails inc nail polishes usually retail for around £11 and I picked this one up for £0.30p. I'm sure the shade has been discontinued but it's actually a really good color for the Autumn / Winter months. The next thing I picked up was this Bomb Cosmetics Chocolate Bath Bomb Set which contains six absolutely gorgeous bath bombs. These not only look beautiful but they also contain over 20% Cocoa and Shea butters and essential oils making them really good for the skin too. 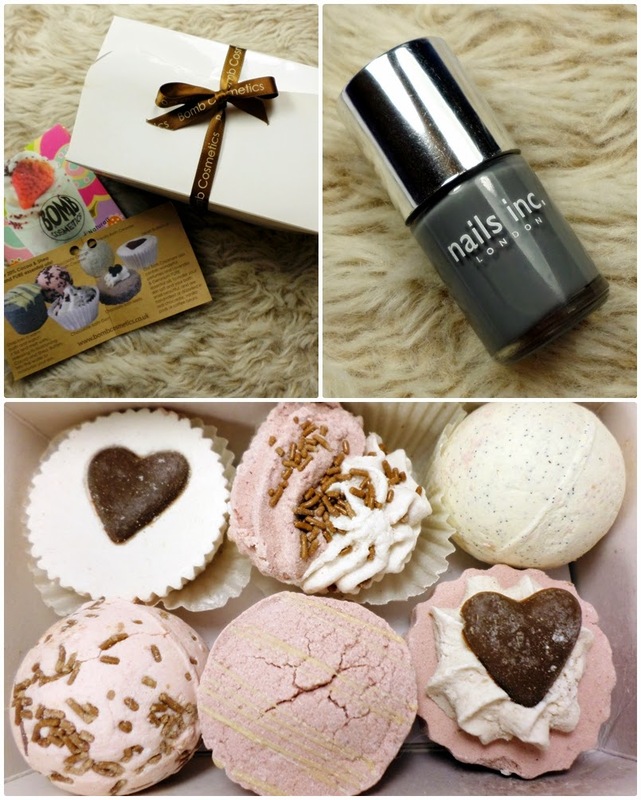 I adore Bomb Cosmetics their bath bombs in particular are lovely. This set retails for £9.99 but I got it at the boot sale today for just £1.00! Amazing!! Have you braved a car boot sale or picked up any second hand bargains from anywhere recently?